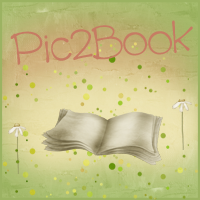 Bookittyblog YA Book Reviews: Feed Your Reader Hop and Ereader Giveaway! 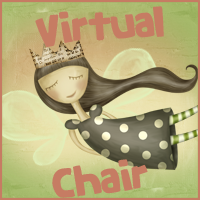 In this post there's going to be 2 awesome giveaways and both are INTL! For more info see below. 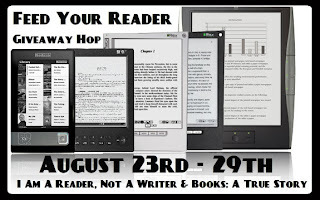 Win a Kindle Fire, Nook Tablet or other Ereader of your choice (Up to $200). To enter fill out Rafflecopter form below. Pick one ebook of your choice (up to $4.99) . This giveaway ends August 29th. To enter fill the Rafflecopter form below. Don't forget to enter the other awesome giveaways in the hop! And I'd probably get The Vincent Brothers. I would choose the anthology Three Weddings and a Murder. I'd like Immortal Voyage by C. G. Powell. Hmm. I have no idea. There are so many to choose from. Awesome giveaway. Thank you so much! I have such a long list of books that I want that I would have to take a few minutes to decide. Thanks for the giveaway! Maybe Delirium or Divergent if they are in the range. Thanks! I have no idea. There are too many to choose from without really thinking what I want. I would choose Blood of requiem by Daniel Arenson. I think I would choose either Crash by Nicole Williams or Wild Ones by M. Leighton. I´ll choose Airel by Aaron Patterson. Hmm. . . I think Once Burned by Jeaniene Frost is currently on sale for 4.99 so I would probably pick that one! I would love to read Onyx. Don't know if it qualifies though! I'd choose Breathe by Abbi Glines! Probably Dante's Girl (The Paradise Diaries. I really want to read Obsidian, but I would probably change my mind 20 times before I had to pick one book. I would like to choose Madly and Wolfhardt! I'm not sure yet but maybe The Darkest Seduction by Gena Showalter. I'm not sure, I would have to see what Amazon has available at the end of contest for $4.99 or less. Thanks for the giveaway! I would choose Touch by Jus Accardo if its available or Breathe by Abbi Glines. I'm not sure Yet. I would have to wait and pick something then. Thank you for a great stop. Thanks for the giveaway! I would choose Chosen Ones by Tiffany Truit! I'd pick Existence by Abbi Glines. I think maybe Touch or Hold Me Closer, Necromancer. There are so many great possibilities; I need to think about that one a while. I'd love to win This Is Not A Test by Courtney Summers, thanks! Though choice maybe an Iron fey novel by Julie Kagawa! I'm not really sure. There are just so many good ones. I've been wanting to start the Lux series though. But I also have been wanting to get some more western romance novels. I'm not sure, I'd have to check out the deals around that time. Thanks! I think I'd like to have an e-book copy of Coraline. I would choose Breathe by Abbi Glines. But thanks so much for the chance to win! Something that has been on my reading list for awhile. Perhaps Call of the Sea by Rebecca Hart. I don't know, but something with zombies! Thanks for the giveaway. Not sure which book to pick....too many to choose!